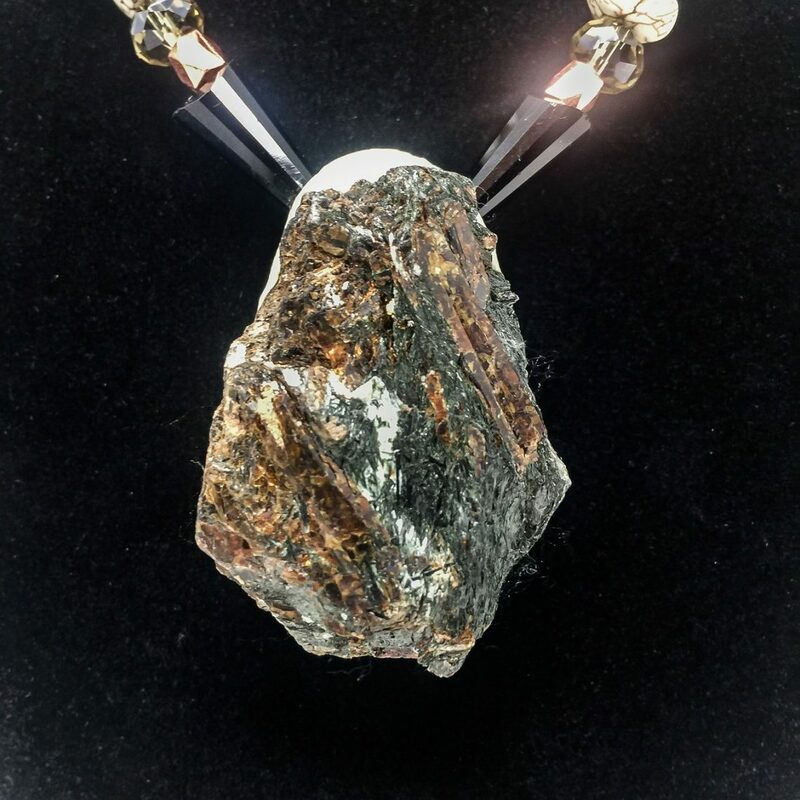 MATERIALS: This necklace features an exquisite, ultra rare Astrophyllite mineral crystal with bronze and titanium crystalline structures that shimmer beautifully in the light. 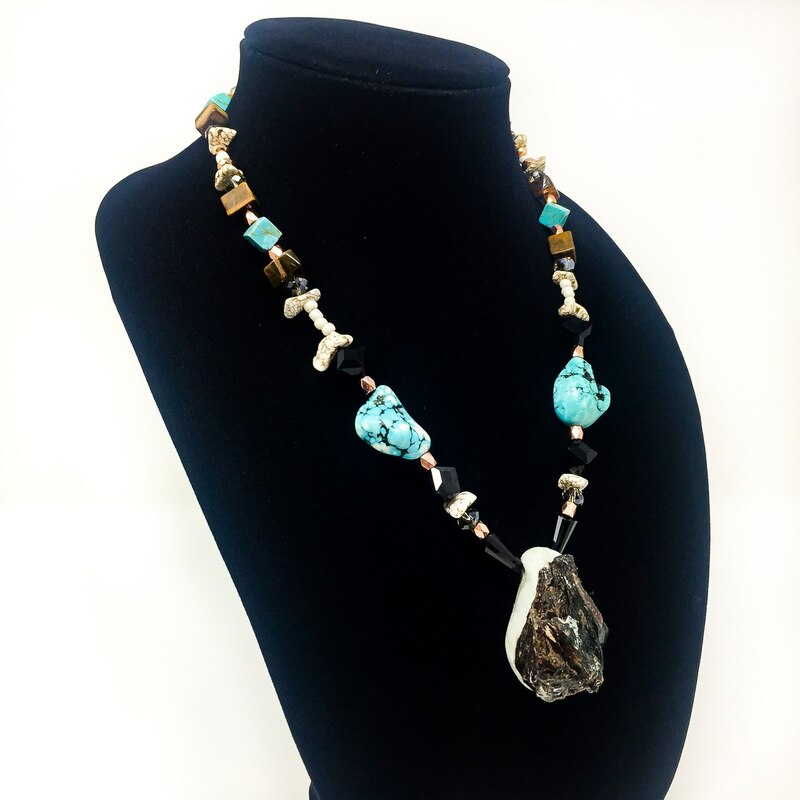 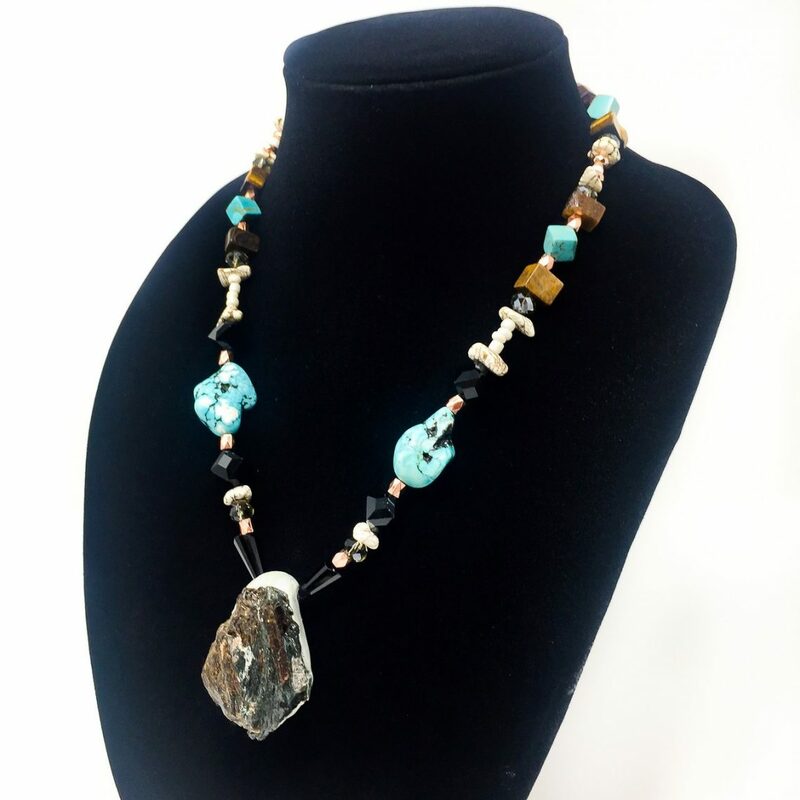 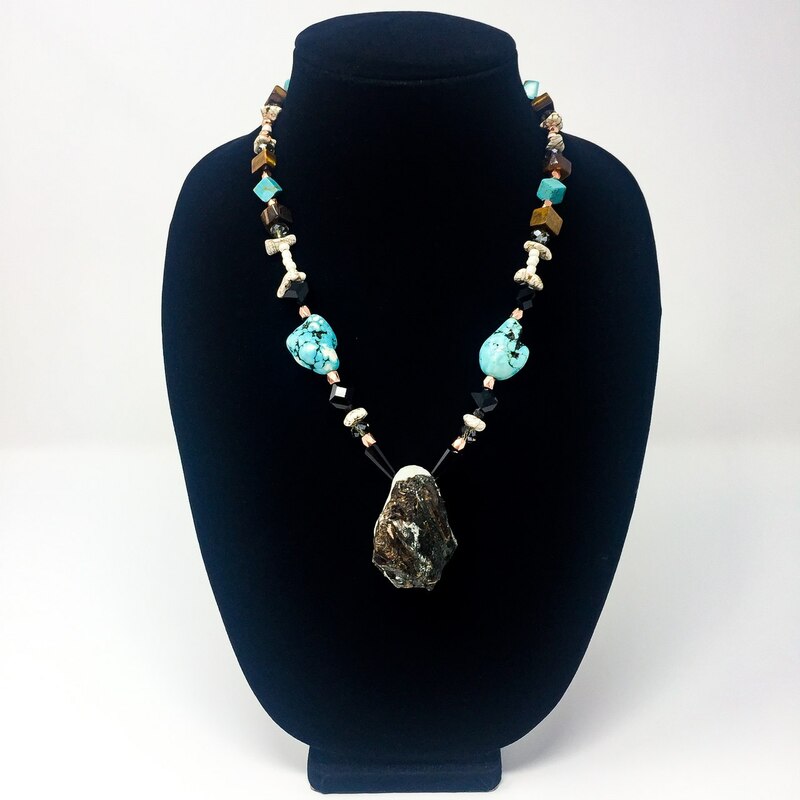 Adorned with grounding chunks of Turquoise Magnesite, Swarovski smoky quartz crystals, Swarovski black crystals, Blonde Magnesite mineral chips, chrome crystals, white accent beads, copper beads, ion plated rose gold cubic zirconia clasp and copper signature tag. 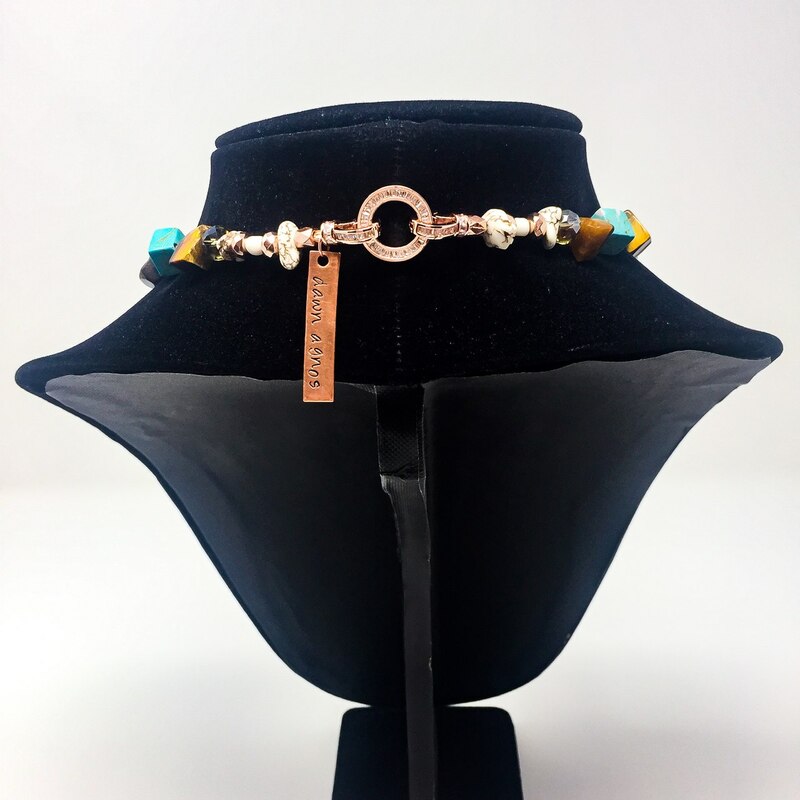 Intuitively selected and lovingly crafted by the hands of a genuine healer.